​The Standard Thermometer Company was founded in Peabody Massachusetts in 1885. 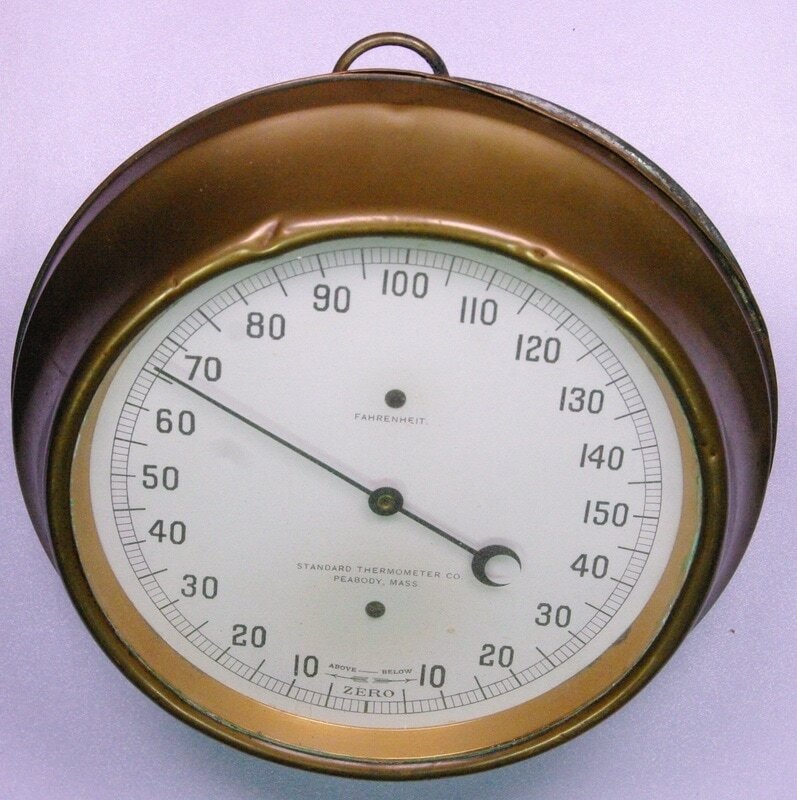 This is a bimetallic wall thermometer with a 5.25 inch dial face. It has a range of -40 F to 150 F. I don't have a date for this instrument, but it is shown in a 1912 trade catalog. I don't know how long Standard was in business, but their trademark of 'Standard' expired in 1992. If anyone has a Standard catalog or information on this thermometer, please email me.